American Express Membership Rewards is the award program of the Amex charge cards plus the series of Everyday credit cards. One of the most lucrative ways to use Amex points is to transfer to airline partners and American Express cards here in the US currently have 17 airlines to choose from. 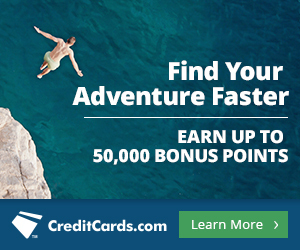 From time to time Amex gives generous bonuses as limited time offers. 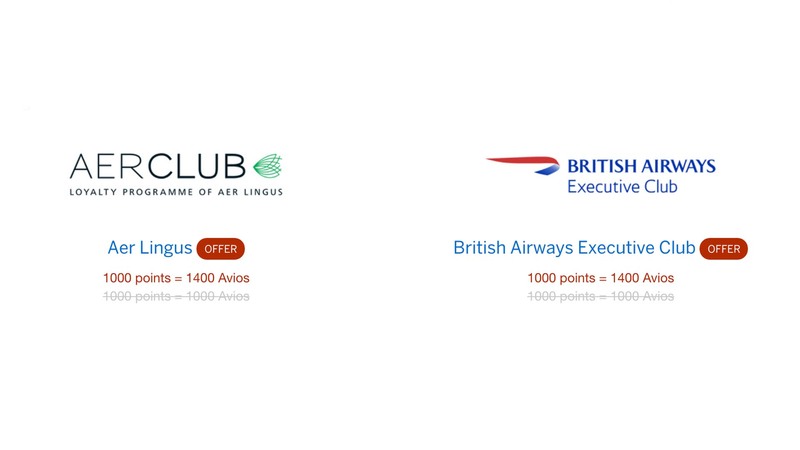 Right now you can get a 40% bonus for transferring to British Airways, Iberia and Aer Lingus. British Airways, obviously the national airline of the UK, is a favorite of mine for flights to the UK and also for booking American Airlines awards here in the US through British Airways points system. Aer Lingus is the national airline of Ireland and Iberia is the national airline of Spain. You have to transfer in batches of 1000 points, so for each 1000 you transfer you will end up with 1400 extra points in your account. The offer for these three airlines is available until 11/15/18. This offers great redemption opportunities for flights to Europe. A one way British Airways business class ticket will now cost only just over 35k Amex points rather than 50k. On Iberia, one way business class redemption from New York to Madrid, Spain, which normally goes for 34k would now be just over 24k if you transferred all the points used in the booking from Amex. In addition to these three, American Express has also improved the transfer ratio to JetBlue from 250 points to 200 JetBlue miles (a 5:4 ratio), to 200 to 200, which is a 1:1 ratio. So this is a 25% bonus and will be available until 10/1/18. 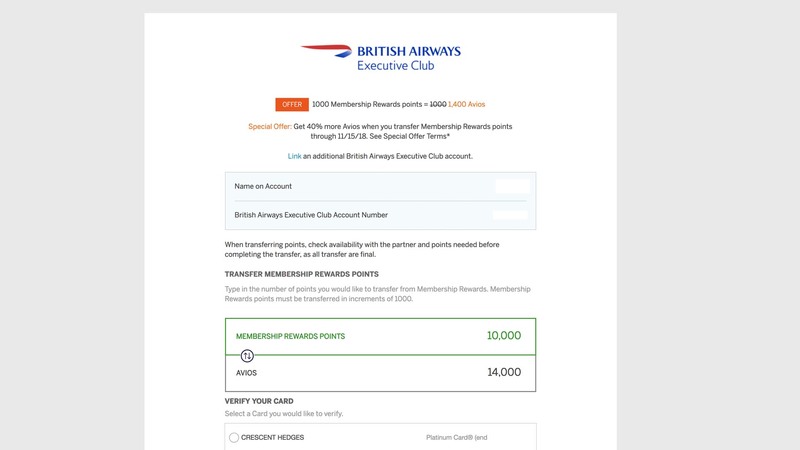 Offers like these happen most years, I have taken advantage of the British Airways one in the past, and today I just transferred 10,000 Amex points over to BA to take advantage of this excellent transfer ratio. We will be booking flights to the UK either on BA or AA for Christmas, so the extra points will come in handy. Frequent flier miles are a great way of reducing the cost of air travel and experiencing premium cabins you otherwise couldn’t afford. The best way to earn frequent flier miles is through credit card spending.